Looking to fill your closet with more versatile basics this year? 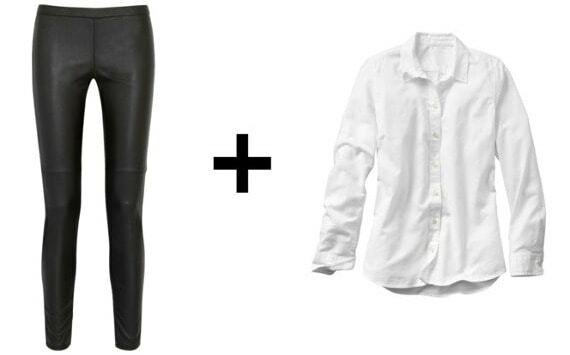 Then give this combo a try: a classic white oxford shirt and a pair of trendy faux leather leggings. The shirt is a must-have piece that will never go out of style, and the leggings are a fun piece that actually go with just about anything. Together, they make a sleek, minimalist look that would be at home on any street style blog. To winter-ify this pairing, just add a few cold weather pieces. A long olive green parka and lace-up suede booties will do the trick. Keep the simplicity of the look by minimizing the accessories to just one pair of sparkly stud earrings. This eclectic yet casual look would be perfect for class or running errands. 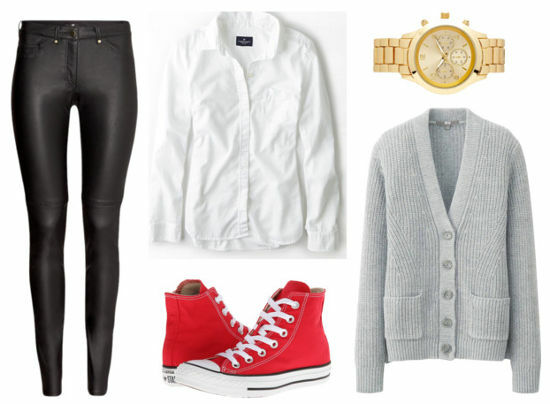 Mixing the classic shirt and cozy cardigan with trendy leggings and retro high-top sneakers makes the ensemble fun and youthful. Don’t forget an oversized gold watch, which adds just a touch of menswear inspiration. To spice up this formula for a night out, just add some bright, eye-catching accessories. 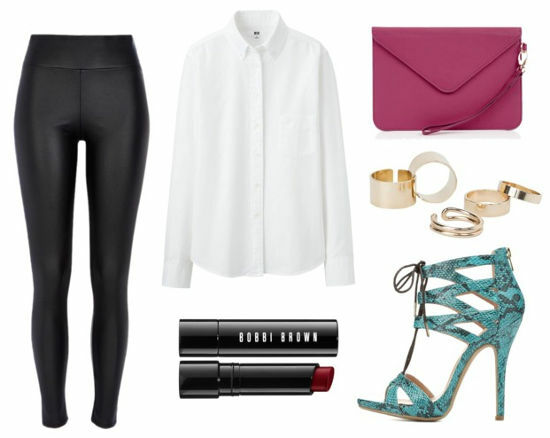 Start with a crisp shirt, leggings, and caged turquoise heels, then add a contrasting clutch. Gold rings give your digits a little sparkle, and a swipe of berry lipstick completes the look. Would you wear this formula? What do you think of the mix of classic and trendy? Which look is your favorite? Let us know in the comments!